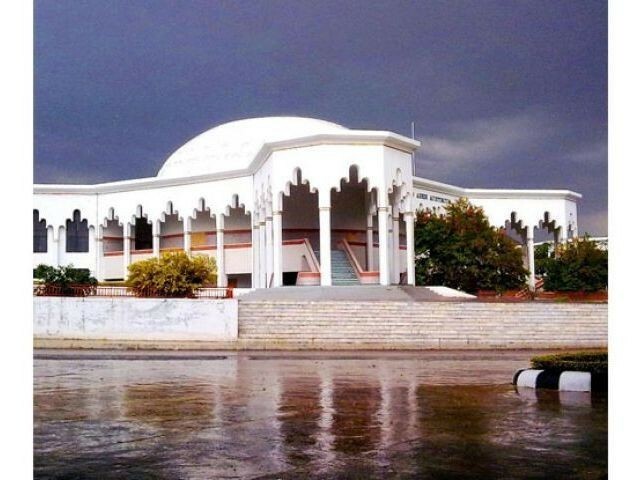 This was stated by the caretaker Federal Minister for Education Yusuf Shaikh while visiting the Ghulam Ishaq Khan (GIK) Institute of Engineering Sciences and Technology on Thursday. During the visit, the minister lauded the modern facilities available to students and education acquiring environment at the institute. He especially emphasised the large number of scholarships offered to GIK Institute students under various programmes, including financial assistance and merit scholarships. Academics Pro-Rector Prof Dr Jameelun Nabi gave a detailed presentation about GIK, that it started with the establishment of the Society for the Promotion of Engineering Sciences and Technology (SPOREST) in 1988 which ultimately become the founding and governing body of the institute. Prof Nabi said that there is a number of foreign faculty members in GIK Institute from countries like USA, UK, and even Japan. The minister appreciated the role of student societies in the arrangement of co-curricular activities in the Institute throughout the year. Published in The Express Tribune, August 10th, 2018.